SeeLevel HX’s mystery shopping and market research will help you understand your customer’s journey more thoroughly and guide you to delivering service they will surely remember. We use the appropriate metrics and tools to effectively measure customer experience and interpret data in meaningful ways. And we’re not done yet! There are many other benefits in addition to the insightful reports on customer experience we will develop for your business. Many business owners think that customer experience is unmeasurable and can’t be factored into analyzing profitability. We have proof that it is indeed possible and in fact must be considered vital in measuring a brand’s success. The results of our market research will give you the hard facts you can use to back your business decisions with conviction. You’ll be more confident to implement marketing campaigns. launch new products and make operational changes because you will know exactly what is happening on the ground every day with your customers. Seeing things from your customer’s perspective allows you to clearly discern what your clientele are looking for and deliver that experience. People love it when they feel important, and you show them exactly that when you spend the time and effort to understand what they need. Together with the data from our market research, you’ll be able to develop more user friendly products and continually move your services toward a more customer-centric approach. Knowing your target audience’s expectations gives you the opportunity to adapt your customer service to make the highest impact. Market research isn’t limited to studying your customers alone. You can also use it to investigate your competitors. Learn about their sales pitch, marketing, pricing, and customer journey. Leverage this information to adjust your business to take advantage of their weaknesses and double down on your strengths. In-depth market research allows you to identify emerging trends in customer behavior and spending patterns, helping you decide whether to expand product offerings, move into new categories, implement new up-sell or cross sell opportunities – all in order to maximize profits. Personalizing your engagements with customers and giving them the extra attention they are seeking from your brand can help to relieve pricing pressures and aid in customer loyalty. By knowing them better, you benefit from being able to provide the contextually relevant products and services they want. Market research on customer experience doesn’t end when a purchase has been made, a survey has been filled out, or feedback has been given. In fact, research won’t amount to anything without a corresponding plan to take advantage of what you learned. 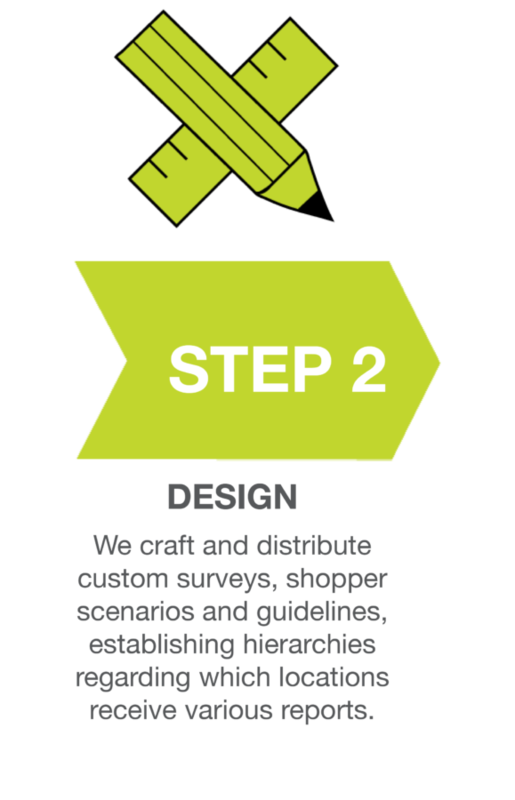 Our market research strategy makes full use of the customer journey experience to understand what is being delivered at the point of sale and how it is being perceived by customers. We understand the importance of each touch point on the customer experience map. This enables us to aid you in analyzing the findings and suggesting potential changes that improve customer loyalty and service efficiency. The goal is not only to improve how customers are served but also to allow customer-centric practices to penetrate business operations. We help companies increase customer conversions, improve retention, and retain brand loyalty. We do this by analyzing business practices that you can then apply internally to embody your consumer-oriented vision for the organization.